Our guests may park anywhere in the hotel lot adjacent to the restaurant. We also have street parking around the building. We have multiple events each month. Please check the website to see the most updated list. Jacques, owner and executive chef will personally cater your affair either at your home or in an event room. From 8 to 150 people, he will prepare sit down dining or buffet. Our private dining facilities are decorated with French Provence in mind in colors of blue and yellow. Beautiful painting by Van Gogh cover the walls with comfortable booth seating. Our set menus range in price to accommodate your party and style for lunch or dinner. This cozy French Restaurant serves only the finest and freshest ingredients each time it prepares an unforgettable meal. A charming spot tucked away in Arlington East Falls Church will not disappoint you. French dining which is not pretentious or expensive, La Cote d"Or works for a quiet romantic evening or a casual week night meal. 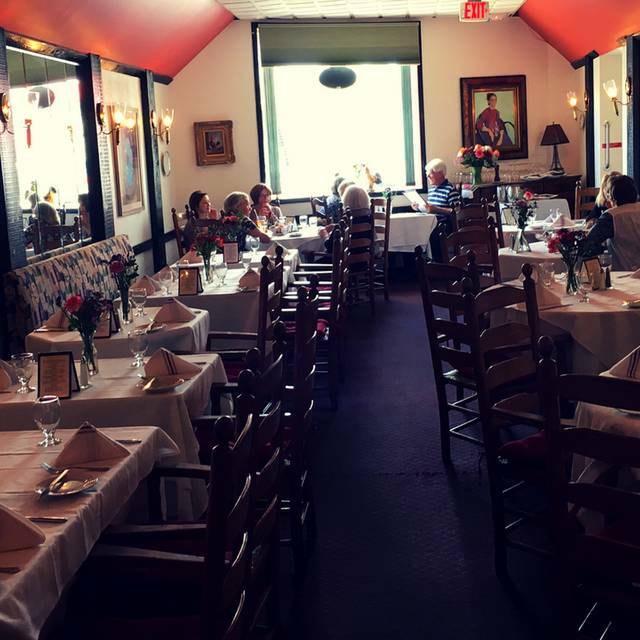 New owner Jacques Imperato, previous owner of Mediterranee Restaurant, will take care to ensure that your dining experience is a good one. Outstanding, as usual. Have never been disappointed here. My family enjoyed a nice dinner. It was especially nice to have good food and service, and to not feel rushed in any way. The staff was excellent and loved the ambiance. A favorite restaurant at the wrong time. Early afternoon reservation put us near closing time -- 3 pm. No problem but...perhaps related: Very hot plate; very almost cold quiche. Items incorrectly put on Easter menu and explained away by that when asked "where is either the listed FF or salad. Once 3 pm came, we were an afterthought with staff. A surprising reversal of usual service and food but enough to suggest caution in the future. We had Easter lunch at Cote d'Or and the restaurant made it a special occasion for our family. The service was friendly and attentive; the food was delicious; and we enjoyed sitting next to the window in the quieter side dining room. Excellent service and quaint French ambiance. Wonderful dishes and good value dinner choices. Great food, great service. Though, for a French restaurant, the dessert options are limited and not very French in nature. Everything inside the Restaurant is perfect. Only the outside parking is limited. Having passed by this little place for years, we finally visited and thoroughly enjoyed our experience. 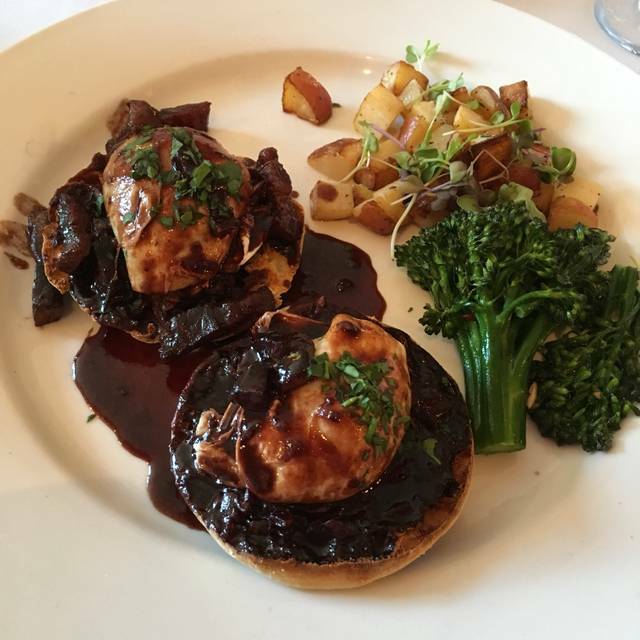 If you need a fix of good French food, try Code D'Or. Though not exquisite in the French sense, it was completely enjoyable. Looking forward to returning. Overall this was a very nice dinner and enjoyed it very much. My only problem, is I remember the food as being outstanding, although this was a few years ago since I had dined. Great place to take a date or your parents as food is always, dependably good and a good value. Lovely way to celebrate my birthday. Great service, not rushed, delicious food. It was steak night, and several of our party enjoyed that. Tasty mussels and loved the beet salad. The chef is very talented. After changing ownership I find some different menu items and miss others. He is talented, but he sometimes misses the mark for a more American take on French cuisine. I had forgotten what a gem this restaurant is. The food was excellent and the service is expert. It's such a pleasure to experience a well run restaurant. Service was slow and food just okay. Disappointed as I usually thoroughly enjoy La Côte d’Or. hope next time is a big improvement! La Cote D'Or is one of those 'go to' places for a fabulous meal and service. Not only is the service excellent, but the food compares. Our group of six began with a bottle of French Rose and the cheese plate, yum. The we moved on to mussels, soft shell crabs, hanger steak, more Rose and chocolate moose and raspberries in caramel sauce. I have to say the raspberries in caramel sauce is the best dessert ever! After reading a recent article by Frank Bruni, NYTimes former food critic, about how where he likes to dine has changed since he turned 50, I agree with him and La Cote D'Or is exactly the kind of place he describes. They act like they know you even if you haven't been there in five years. So, my note to myself, go more often. Bon Appetite! The restaurant is always reliable and quiet enough that you can have a conversation at your table and not get hoarse. Service is attentive. My wife and her friends wish this place would open for afternoon tea 1-4 pm at least one Saturday a month. Excellent food as always. The smails are delicious, drenched in garlic. The pork schnitzel tasty and perfectly cooked. All the little things are just right- even the bread is the best bagette in the area. Good value during Falls Church Restaurant week, pricey otherwise. I clumsily knocked over my almost-finished glass of wine, breaking the glass into many shards. The staff quickly swept up all the pieces and I was then, to my surprise, served a full glass of wine , gratis. We took advantage of Restaurant Week by ordering the $35 three-course dinners. My chickpea crepe with grilled vegetables and chunks of codfish on top was excellent and the best of the three courses. This place tries hard to be a French bistro but it's not quite there, although much better than it used to be. The pate and caesar salad were excellent. My husband's bavette was tough, and my pork schnitzel overcooked and too thin. The desserts were very good, and the wine list extensive and well priced, especially by the glass. (Not too many places have a white Cote du Rhone!) All in all, this is great value for money, especially the menus. However, the service although professional is slow, perhaps because the kitchen is overburdened. There was a long time between courses. But in Arlington there is a dearth of neighborhood restaurants that aren't noisy and totally millennial, and La Cote d'Or is a find, in that sense. Always a lovely experience. Food delicious! Susie, waitress - the best! Everything was perfect, as I had expected. 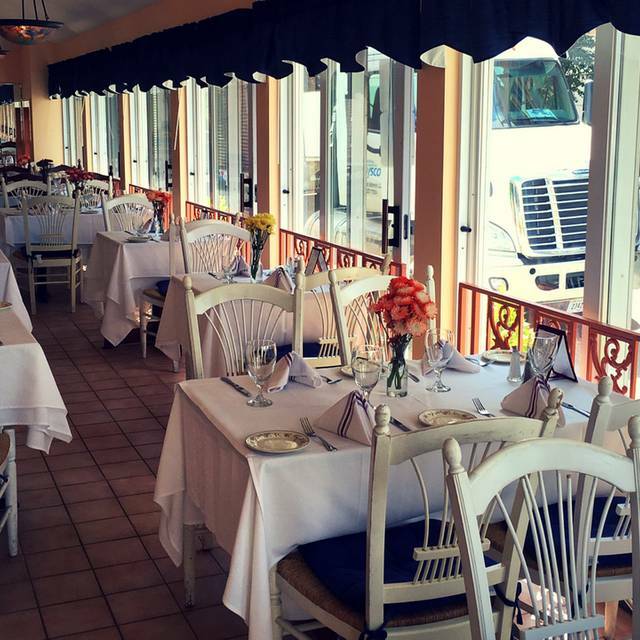 One cannot go wrong dining at La Cote D'Or. 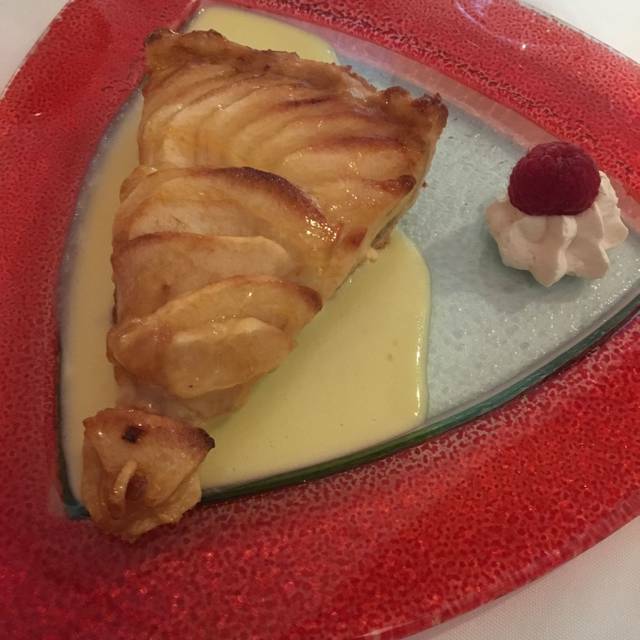 Everything was good, as usual, but I was a little disappointed in my Apple Pie dessert.....looked to be a packaged pie (or at least not made-from scratch by La Cote D'Or people). My husband enjoyed the lamb stew very much. Coffee could have been hotter, but as usual, overall we were very pleased and will be back soon. 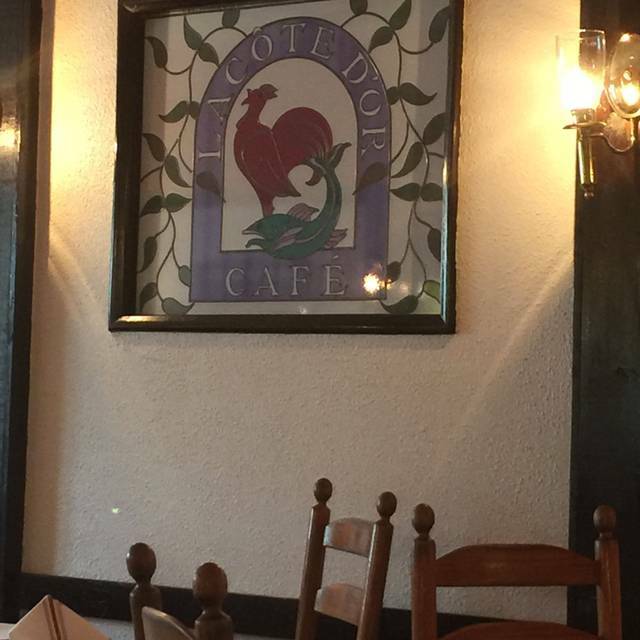 We've driven by for over a decade and decided to eat at La Cote D'Or. So glad we finally ate here. Service was attentive, noise level was good for having a conversation. Food was excellent. Wine list, while not large, has good variety and price points. Menu has good variety and something for everyone. The cassoulet was outstanding. Beat salad was also very good. Only complaint was our table was close to a swinging door that wait staff used regularly, so it wasn't a great table location. Tables closer to window would be better. Overall we really enjoyed the experience and will definitely be back. Enjoyed the new menu. Service was great, friendly, and efficient. Great food, reasonable prices, service is always excellent. We’ll be back again! 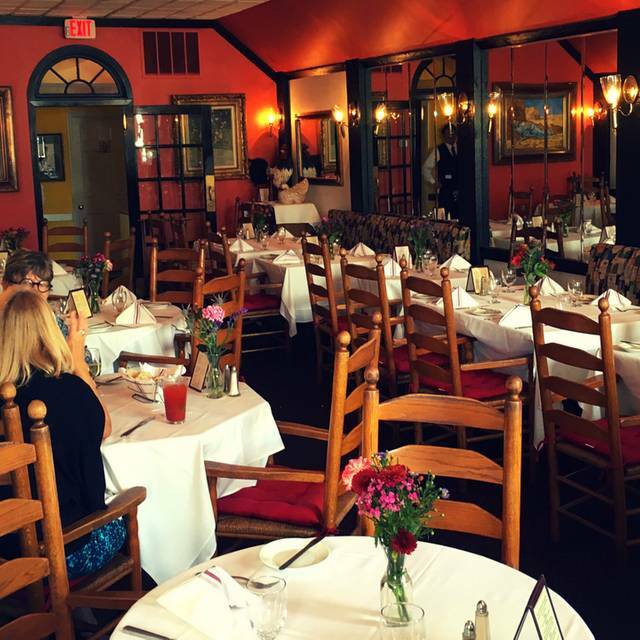 Cote D'Or serves traditional French cuisine in a pleasant environment. Traditional dishes like Bouillabaisse and Cassoulet are excellent. Shad roe was OK, but a bit overcooked. Great salads and soups. The foieGras Pate was tasty, as was the Caesar salad, I appreciated the large shavings of parmesan cheese. I had the catfish, which was very good. My partner tried the pork weiner schnitzel. The selected wines were $25 a bottle on Sundays. The profiteroles were a bit better than the creek brûlée’. 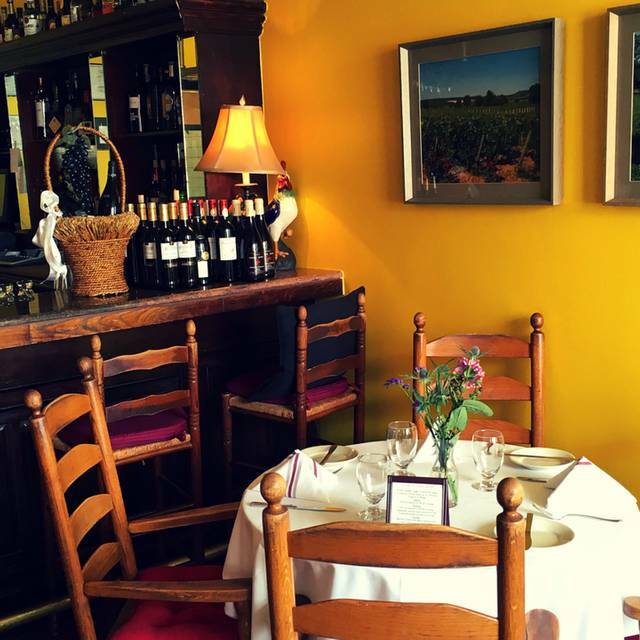 Overall a under appreciated gem of a French restaurant in falls church. They offer $35 and $45 prix fix three course meals. Rack lamb very thin..mix of pink and well done. Very good place if you want French food at a reasonable price. The 3 course lunch menu is wonderful and a great deal. Can only remark as before! This venue is always perfect and outstanding! The service is exemplary and very attentive ... makes you feel like you are dining in a friend's home! Our favorite restaurant on the same level as Chez Napolean in NYC! Always a very good meal at a fair price. Parking can be a bit tricky, but the shared parking lot with The hotel next door helps. 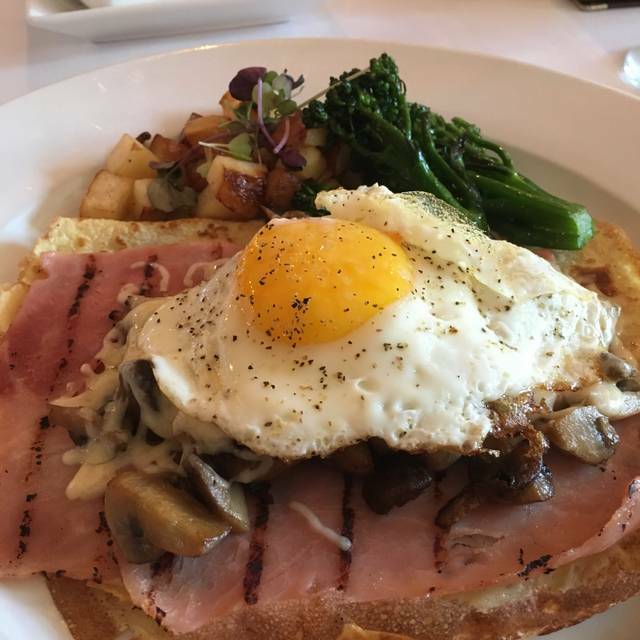 This is a terrific neighborhood spot with excellent, mostly simple French food. You can count on it's being quiet enough for conversation and never disappoints. Love La Cote D'Or and seek to go at every opportunity! La Cote d'Or is a classic French restaurant, one of the few in the area to focus on the classic French cuisine and many standard favorites, which were all well prepared along classic lines. The decor is very attractive and at a Sunday brunch it was very quiet even though mostly full. 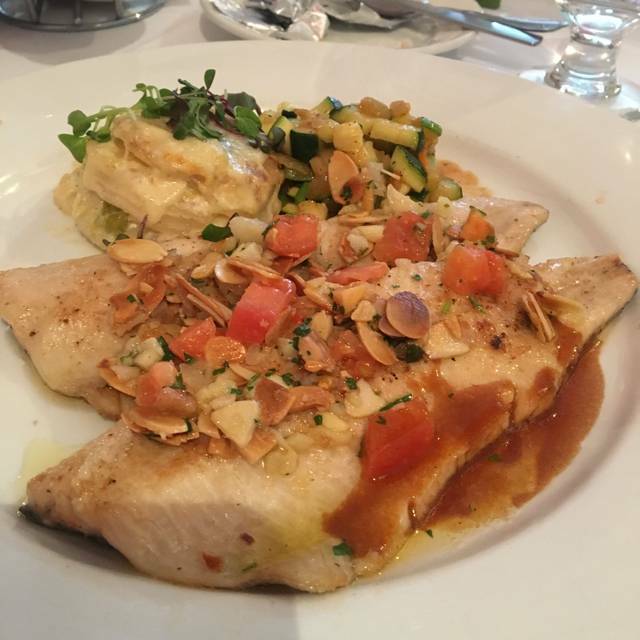 The prix fixe menu is very attractively priced for a nice 3-course meal. We will definitely return. Excellent place for date night. Cozy and great atmosphere. Looking forward to another visit! I had the Dijon crusted lamb chops cooked as the chef choosed. They were tender and delicious!